"Employment" is any type of work performed or any type of services provided in exchange for money, tuition, fees, books, supplies, room, service or any other benefit. Exchange visitor (EV) students sponsored by Oklahoma State University are eligible to participate in activities authorized for their particular programs. In most cases, students who hold J-1 visas are eligible for authorized employment, as defined by J-1 visa regulations, with the approval of their Responsible Officer. Those sponsored by other agencies will have specific rules governing employment. Please note that engaging in any unauthorized employment is a violation of J-1 program and immigration status. have received approval from the J-1 Responsible Officer for specific employment in advance and in writing. EVs must obtain approval in writing from the J-1 Responsible Officer (RO) or Alternate Responsible Officer (ARO) before engaging in any type of employment. The J-1 Responsible Officer is the person who issues the DS-2019 forms and who must evaluate the proposed employment in the context of an EV’s program and personal circumstances. If Oklahoma State University is the EV’s sponsor, the J-1 Responsible Officer in the Office of International Students and Scholars (ISS) will approve employment. If an EV is sponsored by another Agency (IIE, AED, CIES, etc. ), the EV must first contact their RO/ARO to ask for permission to work then submit this approval to the J-1 RO/ARO at OSU. ISS can assist EVs with contacting sponsor, but it has no authority to grant permission to work in these cases. Once permission to work is granted by the J-1 Responsible Officer, the EV will obtain an OSU work permit through the ISS International Tax Coordinator. With the written permission of their program sponsors, Exchange Visitors (EV) are eligible for J-1 "Student Employment". Student Employment is limited to 20 hours per week while school is in session. The 20-hour week limit applies to all types of student employment. EVs may work full-time during official school breaks, vacation periods and summer vacation, provided they are eligible and intend to register for the next school term. The J-1 Responsible Officer can approve student employment for up to one year at a time. For example, a 20-hour per week graduate assistantship fill the hour’s one could work during a fall or spring semester. This work is usually on campus, with the school as the employer and with permission from the program sponsor. In some cases, this work can be for other employers in different locations. For example, an EV might work in a government or private research laboratory or in another location where a professor teaches and can supervise work that counts towards a degree. J-1 Visa regulations allow for jobs on campus that are unrelated to study, but they must be done "on the premises" of the school and be approved by the program sponsor. Thus, on-campus work may or may not be directly related to a student’s field of study. The school does not have to be the employer, but the job must be at the school. For example, EVs may work for a commercial company, such as a food service, in its operations on campus. EVs must have approval from their sponsors for the specified type of employment. The Responsible Officer can only approve off-campus work in extreme cases if it is "necessary because of serious or urgent, and unforeseen economic circumstances" that have arisen since arrival in the United States as an Exchange Visitor, or since a change, inside the country, to J-1 status. "Academic Training" is employment for any employer in the field of the J-1 student’s academic program in the United States. It is flexible in its format and offers a variety of employment opportunities to supplement formal education during and after a program of study. As long as the EV stays within the stipulated time limits, Academic Training allows an EV to work part-time while classes are in session and full-time during vacation periods. Under certain circumstances, an EV may interrupt study to work full-time, for example while writing a thesis. J-1 students in non-degree programs are also eligible for "Academic Training". Throughout the "Academic Training", the EV must maintain permission to stay in the US in J-1 status, and apply for extensions as necessary. The EV must maintain health insurance coverage for him/herself and any J-2 dependents throughout the period of academic training. The EV has obtained permission from the J-1 Responsible Officer. Employment may be authorized for the "length of time necessary to complete the goals and objectives of the training, provided that the amount of time…is approved by [both] the academic dean or advisor and …the responsible officer." It may not exceed "the period of full course of study" or 18 months, whichever is shorter. If the EV received a PhD, however, "post-doctoral training" may last as long as 36 months. Additional "Academic Training" beyond the 18 or 36-month limit is allowed only if it is required for the degree. Part-time employment for "Academic Training" counts against that 18 or 36-month limit the same as full-time employment. Earning more than one degree does not increase eligibility or extend time limits. If traveling outside the US during Academic Training period, DS-2019 must still be endorsed and a valid visa is required for reentry. With permission for Academic Training, an EV may work part-time while classes are in session and full-time during vacation periods. Under certain circumstances, s/he may interrupt study to work full-time. For example, an EV may want to work while writing a thesis. The limit is 18 months or the time the EV has been a full-time student, whichever is shorter, unless the employment is a degree requirement. Academic Training following completion of a program must involve paid employment. To be eligible for Academic Training after completion of a program, EVs must have a written offer of employment before their program end date and present it to the Responsible Officer along with the Academic Training Request form. The Responsible Officer must review this offer, approve the academic training and enter it into SEVIS before the official program end date listed on the DS-2019. The written offer must be for appropriate employment that will begin no later than 30 days after the end of the official program date. If an EV does not have this written offer within this timeframe, s/he will forfeit eligibility for Academic Training after completion of your program of study. The limit is 18 months or the time that an EV was a full-time student, which ever is shorter, minus any previous Academic Training. However, if an EV receives a doctorate at the conclusion of the J-1 student program, s/he becomes eligible for three years of "post-doctoral training" minus the time used for any Academic Training before the doctorate was awarded. If an EV plans to leave the US after completing the academic program of study and reenters the country for J-1 Academic Training, s/he must obtain employment authorization before leaving the country. Otherwise s/he will have trouble reentering the United States. Please consult the J-1 Responsible Officer or Alternate Responsible Officer to notify them of specific considerations and request advice before leaving the country. Consult with the J-1 Responsible Officer/Alternate Responsible Officer and obtain instructions and required forms from the Office of International Students and Scholars (ISS). Discuss opportunities for Academic Training with Academic Advisor to determine what employment or type of training will be suitable and approved. Obtain a letter of offer from the prospective employer that includes the job title, a brief description of the ‘goals and objectives’ of the training program/employment, the dates and location of the employment, the number of hours per week, and the name and address of the ‘training supervisor.’ Make sure that the employer’s letter includes all of this information. Give a copy of the employer’s letter to your academic advisor or dean for use in completing the J-1 Academic Training Request Form. Your advisor must also approve your academic training for the length of time necessary to complete the goals and objectives of the training. TheJ-1 Responsible Officer evaluates the academic training program and decides whether it is warranted and appropriate. If so, s/he will write a letter of approval for the Academic Training that should be retained by the EV indefinitely for immigration records. If employed by OSU, a copy of this letter must be submitted to the OSU International Tax Coordinator and administrative officials who will be placing you on OSU payroll. If necessary, the appropriate program extension will be made and a new DS-2019 will be issued to the Exchange Visitor. When authorizing "post-doctoral training," the J-1 Responsible Officer will be able to issue a new DS-2019 for no more than 18 months at a time. Another extension of 18 months can be made at a later date. If a J-1 student intends to transfer from one school to another between academic years and wants to work at the old school during the summer, s/he must obtain employment authorization form the old school’s J-1 Responsible Officer and delay the transfer procedure until after the period of employment. This employment is possible only if the DS-2019 issued by the old school is still valid throughout the employment. To work at the new school, the EV must first complete the transfer process and then apply for authorization to work with the J-1 Responsible Officer at the new school. The new DS-2019 Form, issued by the new school must be valid by the beginning date of the employment authorization. Sponsored students who are transferring from one sponsor to another must also make certain employment authorization is granted for the periods covered on the valid DS-2019 by the appropriate J-1 Responsible Officer. Click here for the Academic Training Request Form. First, you must talk to your J-1 Responsible Officer (RO) or Alternate Responsible Officer (ARO) about why you want or need to work and what job would suit you best. Your J-1 RO/ARO must issue a memo giving you authorization to work. Once you have authorization to work on campus, you must obtain the OSU International Work Permit Form. *If you are sponsored by another agency, your J-1 RO/ARO will provide you with written authorization to work. Additionally, if you are a sponsored student receiving a scholarship or grant, you must have a written job offer before beginning this process. In Stillwater, this office is located at 518 Lakeview Road. 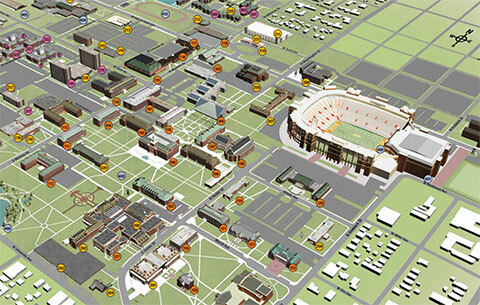 You may take OSU’s gray or green line bus to this location. Tell the driver your destination.